Quite a few years ago I read a book entitled “Working,” by Studs Terkel. It was a fascinating book describing literally hundreds of workers in many different occupations. I’ve always thought about doing something similar with photography and in fact, many photographers have. So, a couple of weeks ago, while in Missoula, MT, I had the opportunity to work on a short documentary project on truckers at an East Missoula truck stop. 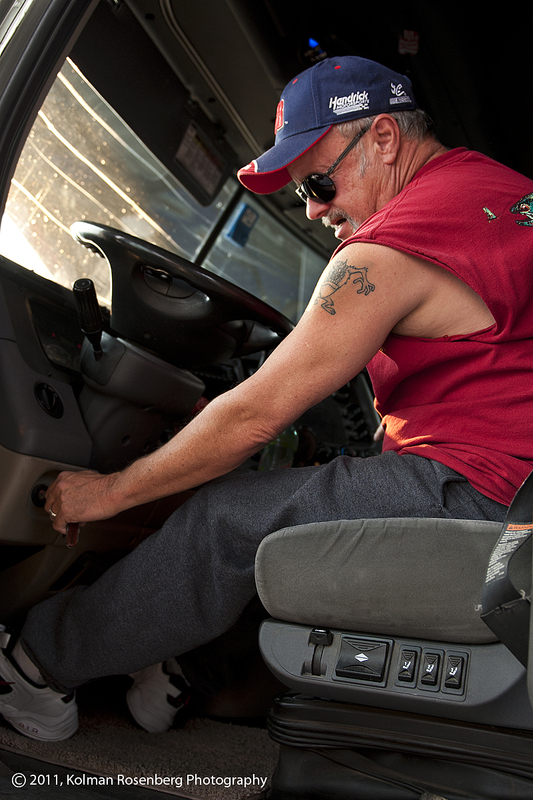 Trucker Terry Peterson cleans his windshield. 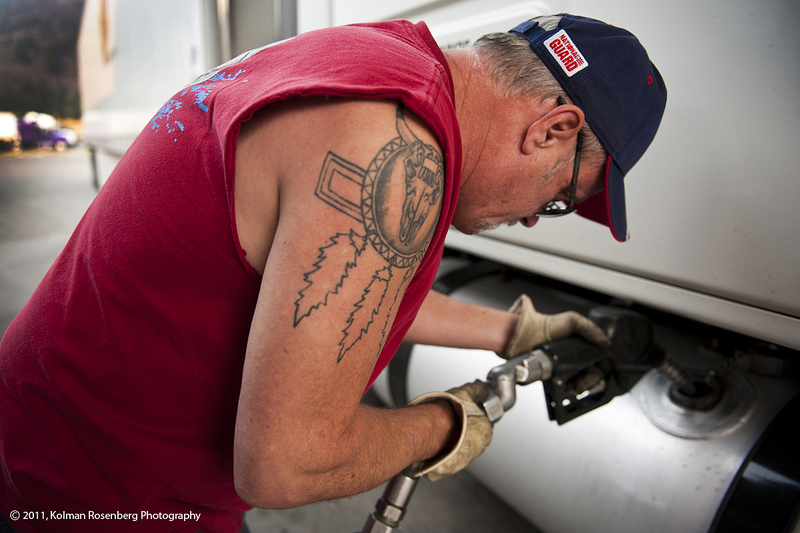 Terry Peterson fuels his 18 wheeler. Terry Peterson and his wife Margaret were the first truckers that I met. Terry does the driving and Margaret handles the business end of things. They stopped to fuel up and agreed to talk to me while doing so. They haul goods across country and had recently come through southern Ohio. 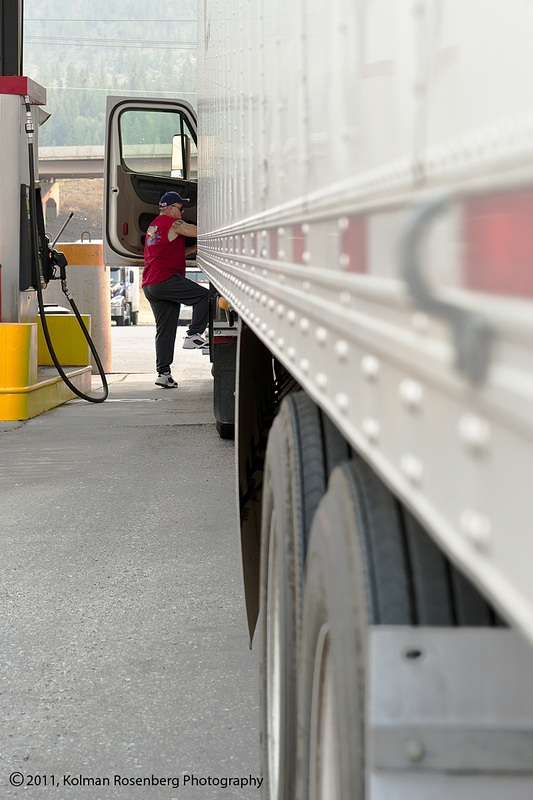 During a fuel stop, they may grab something to eat, clean the windshield, and check out the truck before hitting the road again. Terry attempts to start the truck. Unfortunately, when the fueling was completed and Terry and Margaret were ready to leave, the truck would not start. 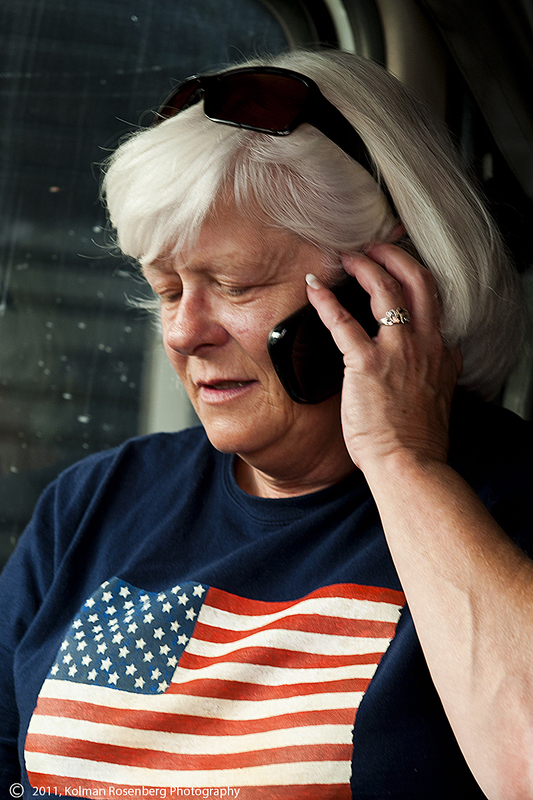 Margaret immediately got on her cellphone and called the truck owner to find out how to proceed. The truck was practically brand new! Margaret calls the truck owner for direction. We talked for a little while longer while Margaret waited for a call back. They really liked trucking and told me that it’s an occupation with lots of potential for those who can live that kind of lifestyle. There are more jobs than there are people wanting to do the job. At that point I decided to leave them alone as they tried to handle their breakdown, so I went off to interview and shoot other truckers. A few minutes later, while interviewing a log hauler, I noticed Terry and Margaret pulling away. Somehow they had managed to start their rig and were hitting the road once again! This entry was posted in Uncategorized and tagged 18 wheeler, breakdown, cross country, diesel, fuel, hauling, missoula, montana, Studs Terkel, truck, truck stop, trucker, truckstop, Work, Working. Bookmark the permalink.